Prepare barbecue (medium-high heat). Add chicken to marinade; toss to coat. Leave to marinate 15 minutes or more. Brush grill with oil. 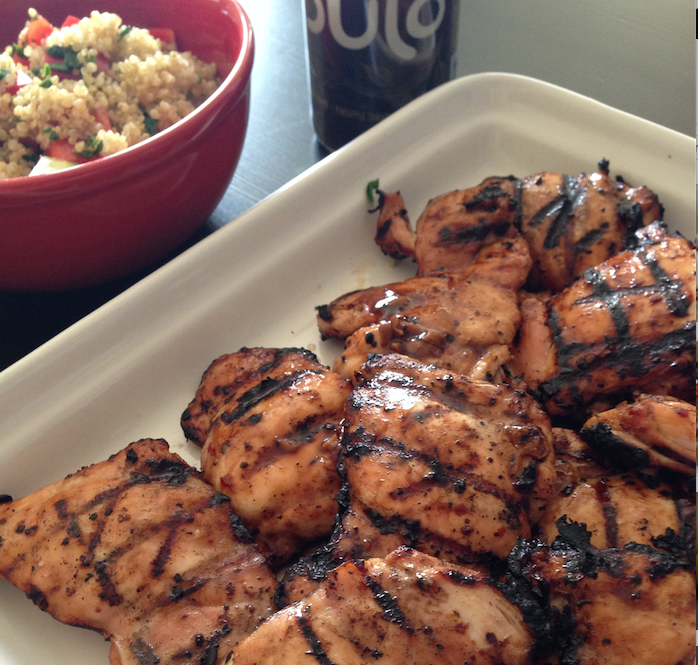 Grill chicken until cooked through, about 5-7 minutes per side, brushing with more marinade as it cooks.